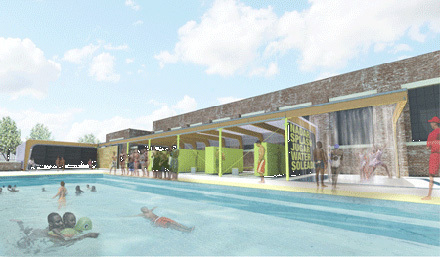 Splash House, a partnership between the Parsons Design Workshop and the NYC Department of Parks and Recreation. The April 2 edition of Crain’s New York Business features an op-ed article by Joel Towers, Executive Dean of Parsons The New School for Design. The article highlights the significant impact of design schools as economic engines in New York City. Towers responds to a recent report released by the Center for an Urban Future, which pointed to the importance of design schools as critical catalysts for innovation, entrepreneurship and economic growth. The article highlights the number of ways that the City is tapping into design schools as a resource to improve its services. For example, through the Parsons Design Workshop, the school is partnering the Parks Department for its students to design and construct new public amenities. Through a partnership with the Department of Housing Preservation and Development, students and faculty are designing improvements to public services for low- and moderate-income communities.